Tom Wesselmann has become world famous as an American pop-art representative and creator of the "Great American Nudes". Less well known are his still lives, transporting a more graphic and delicate iconography that subtly interweaves cubist elements. 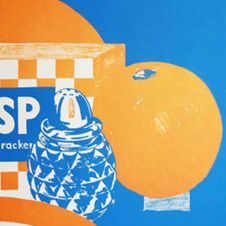 They too draw their inspiration from casual everyday objects that develop their own aesthetic through powerful colour contrasts, an essentialist reductionism and constantly drifting movements. 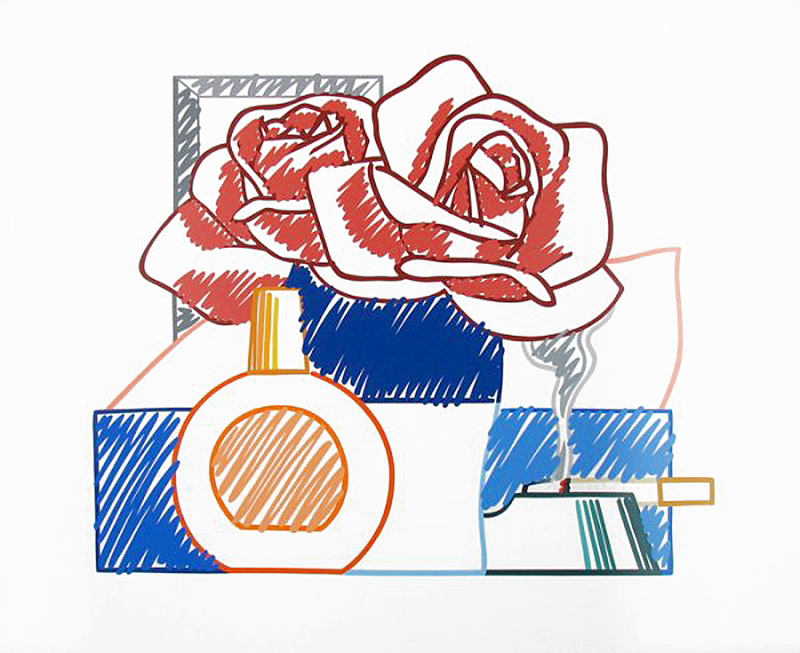 While these motives seem to be playfully thrown onto paper, Wesselmann also centrally operates with printing technology, juxtaposing the hand drawn subject with its own mechanized reproducibility. Here lies Wesselmanns distinctive involvement with the conditions of modernity, but also his subtly emerging anchoring in the graphic traditions of the renaissance. A self-concealing complexity issues that only seemingly quotes the banal.